In November of 2011 Fresenius Medical Care released a memo to it’s own facilities regarding alarming new information. It seemed that a possible dosage complication increased the likelyhood of cardiac arrest in patients using Naturalyte Liquid Concentrate and Granuflo Powder while on hemodialysis. Unfortunately, Fresenius failed to alert customers and external facilities until March 29, 2012, shortly after a copy of the November memo was leaked to the FDA. This increase in mortality directly associated with the Fresenius products, coupled with the four month delay in notification, have prompted a select few high profile law firms to begin the litigation process in order to extract proper compensation for individuals injured by these products. What Is Naturalyte Liquid Concentrate? Naturalyte Liquid Concentrate is a potent substance used during the treatment of renal failure. The liquid is mixed with Sodium Bicarbonate Concentrate and implemented via an external dialysis machine. What Is Granuflo Powder Concentrate? 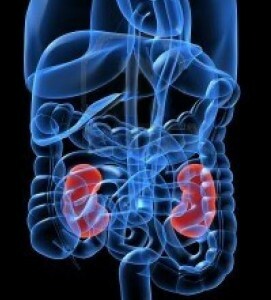 Much like Naturalyte Liquid, Granuflo is used during treatment of renal failure. Said to be safer than handling hazardous liquids, the powder version is considered a dry acid and is dissolved during use with an external dialysis machine. Why Did the Products Become Dangerous? The FDA previously worked with Fresenius Medical Care on an Urgent Product Notification that was released to Fresenius customers on March 29, 2012.Â The notice cautioned clinicians to be aware of the concentration of acetate or sodium diacetate contained in the products.Â Fresenius product formulations have total buffer equal to “prescribed bicarbonate plus 8”. There have been instances whereby physicians’ bicarbonate prescriptions were kept the same when shifting to Fresenius products, thus exposing patients to a higher total buffer load than intended, and the potential for deadly adverse reactions connected to excessive dosing from the Fresenius products. What is a Class I Recall and Why Was It Levied on Fresenius? According to the FDA a Class I Recall is “a situation in which there is a reasonable probability that the use of or exposure to a violative product will cause serious adverse health consequences or death”. Due to the likelihood of dosage mix-up, and the verifiably dangerous results in such cases, the Fresenius products warranted a Class I Recall (the most severe and immediate recall). Have There Been Instances of Death Connected with Naturalyte and Granuflo? What Can You Do If You’ve Been Injured? If you or a loved one has been placed on hemodialysis and have suffered as a result of Fresenius products, you may be entitled to compensation. The Hayes Firm can connect you to premiere law firms working on Fresenius cases. When it comes to fighting large pharmaceutical companies, victims cannot rely on an average attorney. It takes powerful lawyers with the right credentials to get compensation. Utilize our free consultation form or call us at 1-800-603-6833. We can assess your unique situation and help you determine the best course of action. You don’t have to take the next step alone.